The Senate will soon vote on Andrew Wheeler’s confirmation as Trump’s next EPA administrator — and time is running out to stop this former coal lobbyist and fossil fuel ally from becoming our nation’s top environmental official. Take action today: Tell your senators to oppose this outrageous nomination, and vote NO on Wheeler’s confirmation! 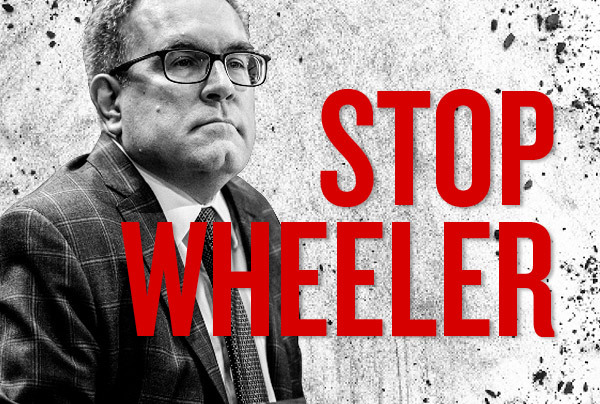 Tell your senators to vote NO on Wheeler’s outrageous nomination as EPA administrator! Dear Senator: As your constituent, I urge you to oppose former coal lobbyist Andrew Wheeler’s confirmation as EPA administrator. The EPA is tasked with protecting our environment and public health — but as that agency’s acting administrator, Wheeler has shown that he’s more committed to protecting his friends in the coal and oil industries than the American people. Like his predecessor Scott Pruitt, Wheeler has continued to push dangerous, and in many cases illegal, anti-environment rollbacks to: - Slash air pollution safeguards and worsen the air we breathe - Attack the Clean Water Rule and threaten the water we drink - Roll back critical measures that protect millions of Americans from mercury, chlorpyrifos, and other toxic chemicals - Undermine efforts to fight dangerous carbon pollution from power plants, transportation, and more, and set us back in the fight against climate change Wheeler is clearly unfit for this vitally important job, and I am outraged that he could continue to lead our government’s most critical environmental agency. Please vote NO on Wheeler’s confirmation. I and thousands of other Americans are watching how you vote, and will hold you accountable at the ballot box. Thank you.